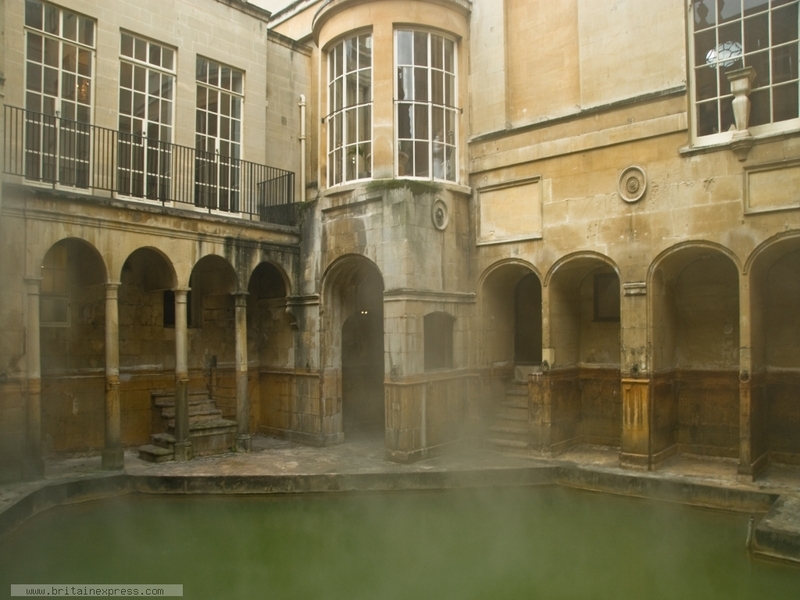 The historic Roman Baths in the city of Bath. The baths are wonderfully atmospheric, with steam rising from he naturally hot water and forming clouds of mist in the air. Its also very humid - and tends to be crowded, so I had to wait for the right moment to take this photo after a tour group had cleared out of view.